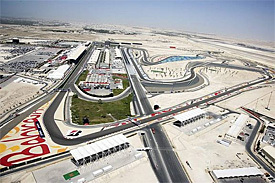 Pressure to Cancel F1 Grand Prix in Bahrain intensifies. The pressure to cancel the briefly reinstated Bahrain F1 Grand Prix has become intense as nearly half a million people worldwide have signed petitions demanding that the race not be held on its October 30 date. Leading race drivers including the Australian Mark Webber have taken a moral stand against holding the race in the oppressive gulf kingdom and F1 officials have begun to backtrack on their decision to go ahead with the race. Bahrain formally ended its condition of martial law dubbed the “State of National Safety” on June 1, but the detentions, harassment and military occupation of the villages in which the majority Shia population there live has continued. The offices of the Bahraini pro democracy organization WA’AD (National Democratic Action Society) were shuttered by the government on the same day as the emergency decree was retracted. The General Secretary of WA’AD Ibriham Sharif, a Sunni Arab, has been in jail with limited communication since March, and trials of medical personnel accused of supporting democracy protesters there have expanded in the past week. Many hundreds of Bahraini Shi’ites and pro democracy activists remain in prison some have been held for months without formal charges. Two young men are sentenced to death in a dubious case involving the death of a security officer during the recent crackdown. The article below indicates that the teams slated to participate in the race are balking at being asked to walk into this morally compromised and possibly dangerous situation. (Autosport.com)The Formula One Teams’ Association (FOTA) has written to the sport’s chiefs stating that its members do not want to race in Bahrain on the new October 30 date, AUTOSPORT can reveal. With ongoing controversy about the FIA’s decision to reinstate the Bahrain Grand Prix on the calendar, and move the inaugural event in India to December 11, F1 teams have been holding talks over the past 36 hours to discuss their response to the situation. Although there has been no official public statement about the matter, AUTOSPORT understands that a letter has been sent to the FIA, Formula One Management and the Bahrain Grand Prix organisers outlining FOTA’s position. It is understood that FOTA has made it clear that its members do not want to race in Bahrain on October 30, and instead it requests that the Indian GP be put back to the slot it originally had in the calendar. Despite its stance on the October 30 date, FOTA has not closed the door totally on a return of the Bahrain GP at some point and has said it is willing to discuss a future date when the race could be rescheduled – although it is believed to favour this not happening until 2012. The desire to return the Indian GP to its original October 30 date comes just hours after F1 supremo Bernie Ecclestone suggested that that was what he wanted to see happen. In an interview with The Times on Tuesday, Ecclestone said: “The way things are at the moment, we have no idea what is going to happen. As well as teams being unhappy about the logistical problems of rescheduling travel arrangements and seeking guarantees on safety in Bahrain, there are also now believed to be issues relating to the manner in which the FIA changed the calendar without the unanimous support of the competitors. Former FIA president Max Mosley suggested to BBC Radio that the governing body was in breach of its own International Sporting Code in the way it shifted the date of the Indian GP at its World Motor Sport Council meeting last week. FOTA would not confirm what its official response to the Bahrain situation was when contacted by AUTOSPORT.